using the cloud on a daily basis. If you have an email account, then you're using the cloud. It's where all of the emails you send and receive are stored. If you have a smartphone, then there's a good chance that a lot of your pictures, videos and information is backed up on the cloud as well. You won't have to have digital storage capabilities on-site when you use cloud computing, which means that you'll use up less physical space. This can be extremely beneficial for businesses that have large digital storage needs since it eliminates the need for local storage devices. 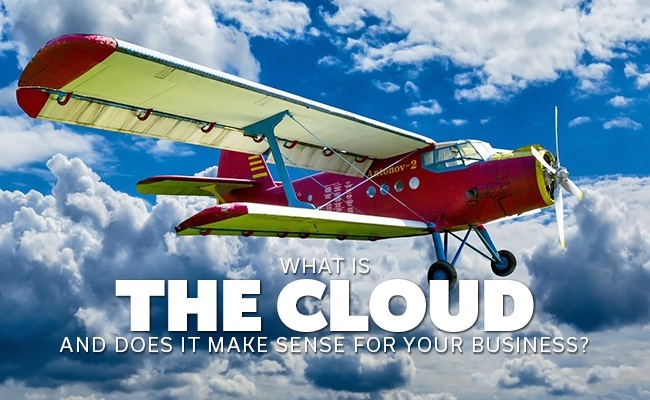 The cloud is scalable, which means that as your business grows and expands, the cloud will be able to keep up with your needs. You'll pay incrementally more to meet your growing needs, but this is more effective and efficient than having to upgrade your hardware on-site. 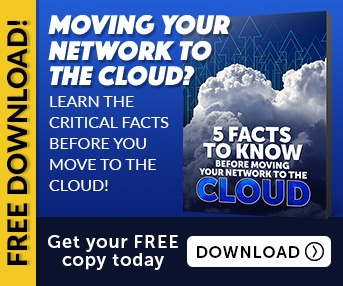 In fact, the ability to scale on the cloud means that you can more effectively plan for the expansion of your business as you grow, which means that you won't suddenly find yourself in a position where you can't keep up with the demand of your growth. Although security was one of the concerns in the early days of cloud adoption, this is no longer the case. In fact, the use of the cloud will help to increase the security of your data. Cloud service providers not only have numerous safeguards in place to prevent data theft, but they are consistently updating and upgrading their security measures. One of the biggest risks of saving and storing data on-site is that data recovery can become quite a challenge in the event that something happens to your business. For example, if your system is corrupted, recovering data may take a while, which can set your business back days. You could also lose everything if your physical business location is damaged or destroyed by a natural disaster, such as a flood or fire. By storing your data on the cloud, you'll be able to recover your data at any time, no matter what. Not only does the cloud prevent the loss of vital data, but it helps prevent major disruptions to your company's day-to-day business. Maintaining your own digital storage infrastructure can be extremely costly. First of all, you'll be using a lot of energy keeping your data storage system up and running. Secondly, you'll need staff that can maintain your infrastructure and that can troubleshoot and solve technical issues whenever they come up. Paying to store your data on the cloud instead will end up being more cost-effective over the long run. These are just a few reasons why you should strongly consider using the cloud for your small business needs. For more information on how you can switch to the cloud, be sure to visit us at Envision IT Solutions today.